E-book readers are not as popular as the all-purpose tablets. Nevertheless, these devices cater to a special population whose intention is to just read e-books and digital contents. Why not. E-book readers dont require plenty of attention or intensive learning. You can lie down on the sofa or the bed with a book to read. And for many people, choosing a protective case is a less important task. But if you want your devices to last, you have to provide protection so they can serve you a long time. When it comes to choosing a case, it must be an exact fit. 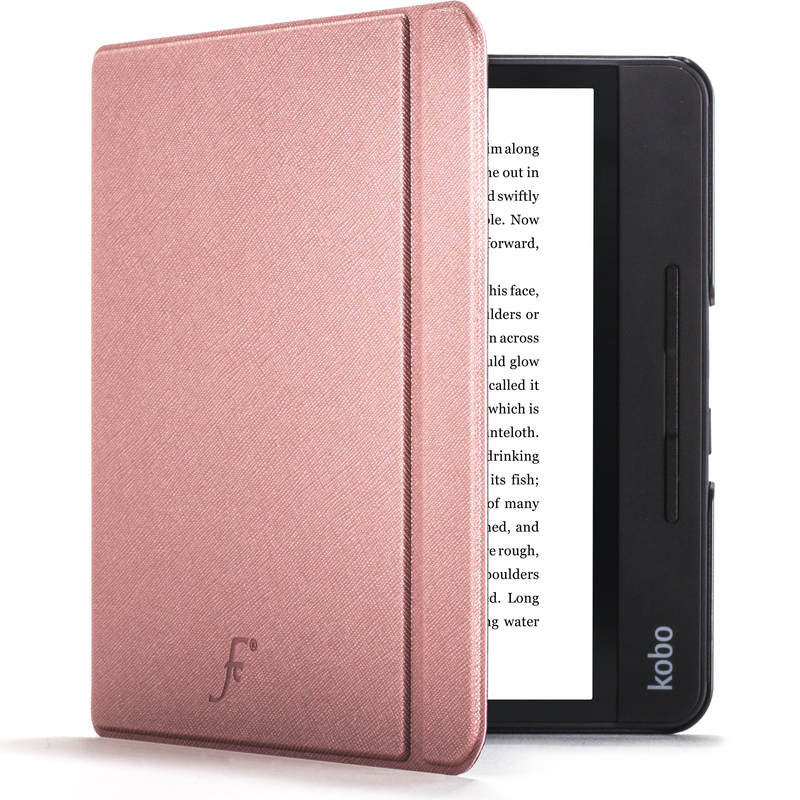 Youve got your match with the Kobo Forma 8 inch Magnetic Protective Case by Forefront Cases. 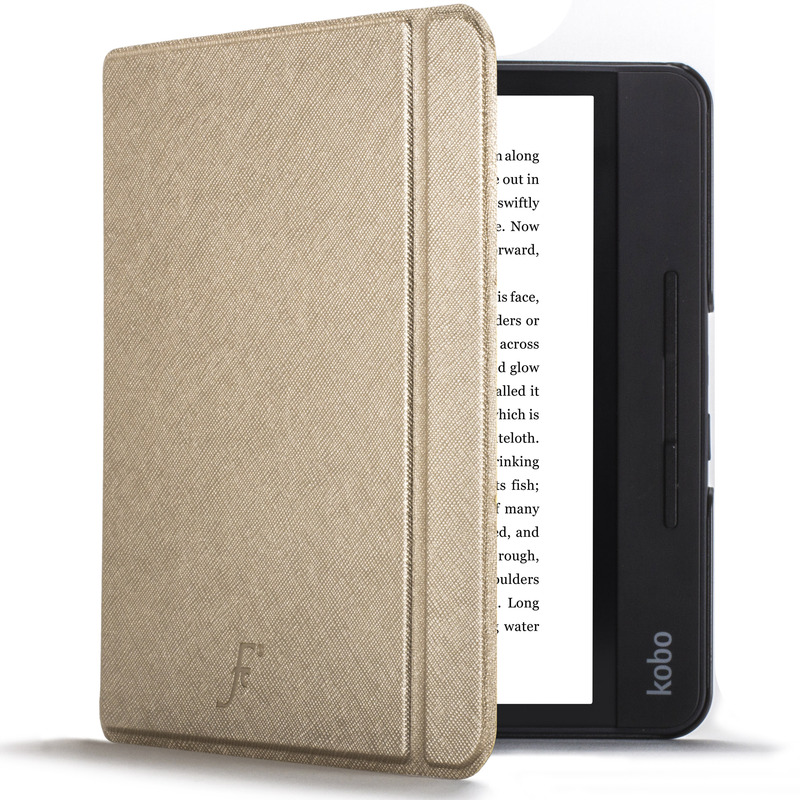 This Kobo Forma 2018 8″ case has the right size to give full device protection. 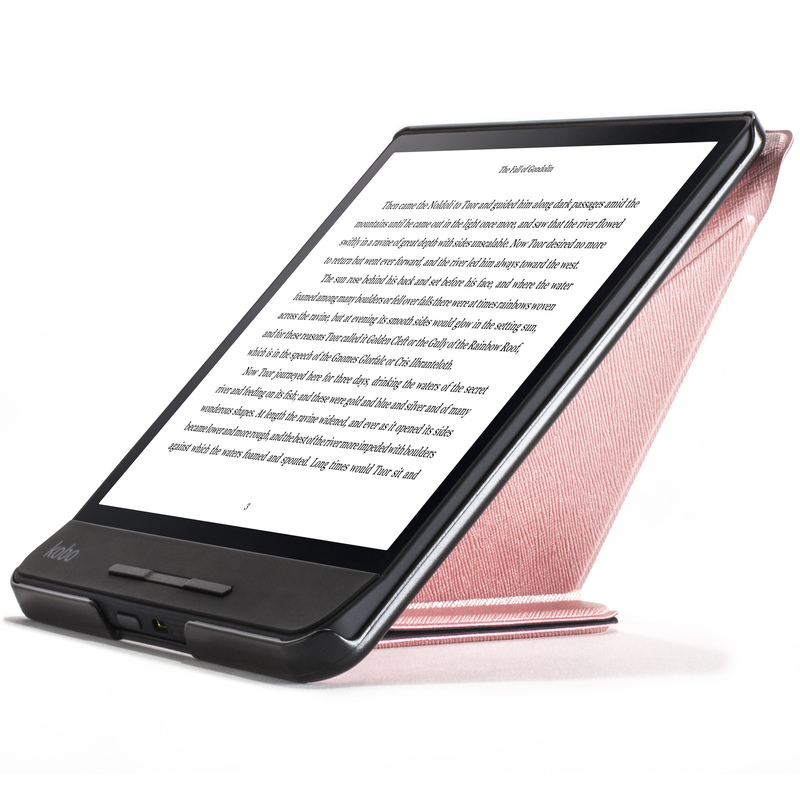 With a polycarbonate casing, its up to the challenge of protecting your Kobo from falls, dents, and bumps. It has precise cut-outs that wont obstruct the ports and buttons. The dual magnetic cover holds the front lid in place. A smart sleep/wake function is available to prevent battery drain when youre not using your device. The unique origami design helps you attain a sturdy, balanced position while reading. With the finest synthetic materials and anti-dust suede microfibre, our case exudes style while providing protection. 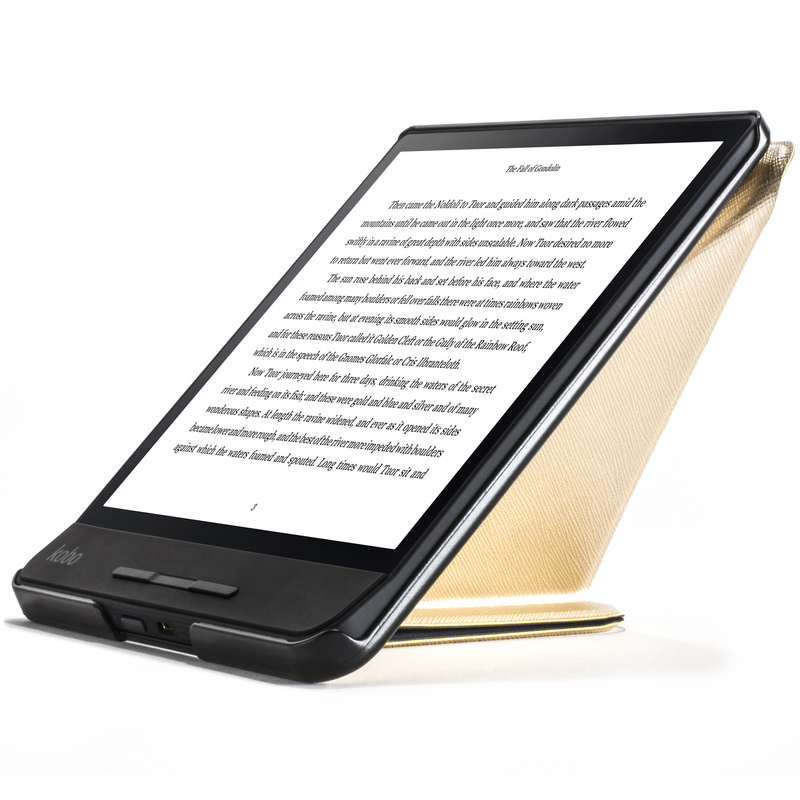 You wont find many cases specifically designed for Kobo Forma. Look no further. Add the Kobo Forma Magnetic Protective Case by Forefront Cases to your basket today! The unique shell design helps you attain a sturdy, balanced position while reading. Are you looking to protect your Kobo display screen? That moment when you drop your Kobo Forma 8 inch and everything stops. You can hear your heart race, everything turns gray, the world around you goes silent as you see it spinning in slow motion towards the hard ground. How will it land? Will you get lucky this time or will your screen shatter? Lets face it, our phones, tablets and e-Readers are not equipped to stand up against trials of everyday life. Accidents are often unavoidable and our precious gadgets can get damaged in a number of different ways. For many people, minor scratches are okay but if you plan to sell your gadget in the future, keeping it in tip-top shape is key to getting a good deal. Dont worry. Weve got you covered! 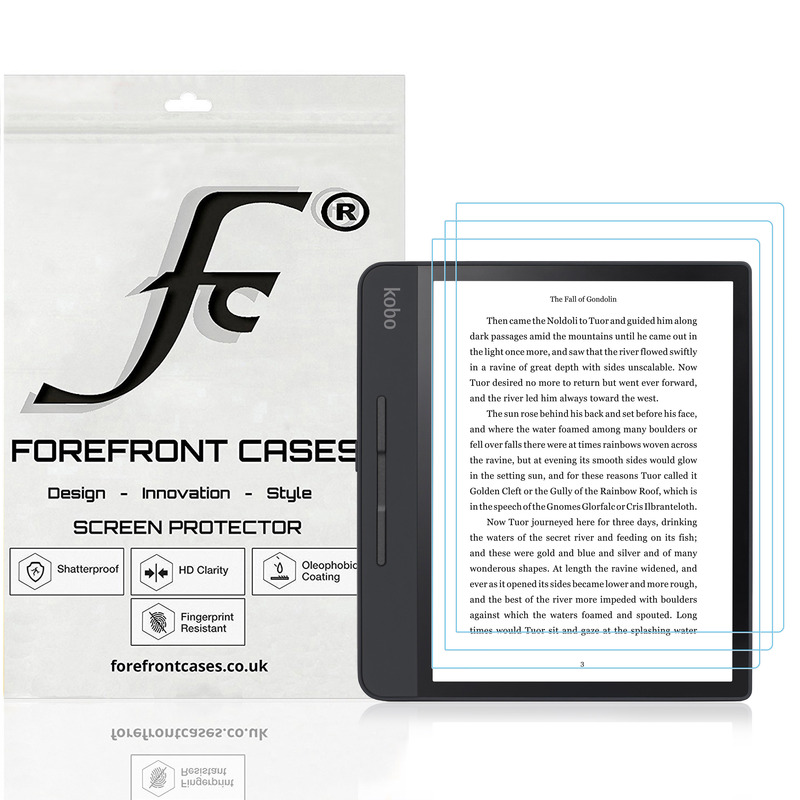 Prevent your screen from breaking While Preserving its Original Esthetical Design with Forefront Cases Kobo Forma 2018 8″ PET Screen Protector. This premium PET Screen Protector comes with an ultra-hard layer not allowing dust and water to adhere to the screen. The processed shield provides extensive protection from outside damages and scratches including sharp objects like coins and keys. Guard your screen and your heart by adding our PET Screen Protector to your cart TODAY! 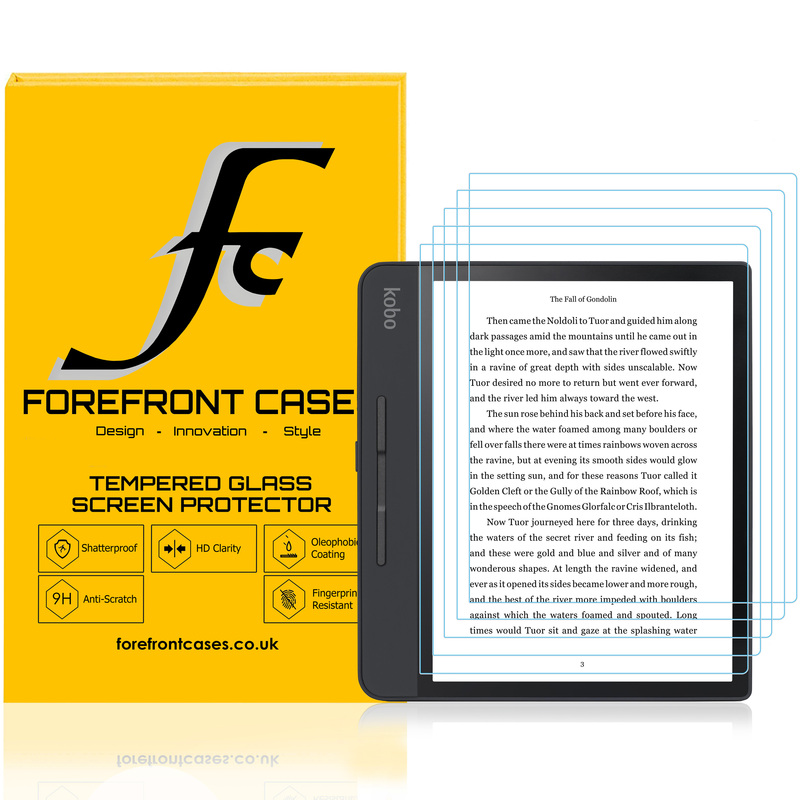 Prevent your screen from breaking While Preserving its Original Esthetical Design with Forefront Cases Kobo Forma 2018 8″ Tempered Glass Screen Protector. This premium Tempered Glass comes with a smudge-proof coating that enables you to get a crystal clear view of your screen without the hassle of bubbles or dust getting in the way. Its slight flexibility absorbs impacts and blows, preventing the screen from shattering. The processed shield provides extensive protection from outside damages and scratches including sharp objects like coins and keys. Guard your screen and your heart by adding our Tempered Glass Screen Protector to your cart TODAY!